1. Clear transparent container permits immediate visual examination of the aspirate. 2. 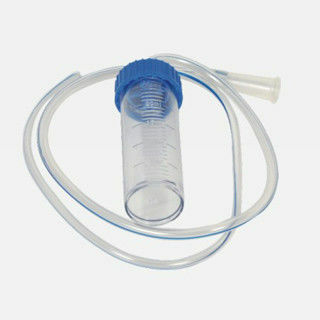 Also suitable for obtaining mucus specimen for microbiological examination. 3. Spare plug cap is provided to seal the container for safe transportaion of specimen to the laboratory or aseptic disposal of container. 4. Low friction surface catheter is provided with open end silk smooth round tip, for trauma free insertion.